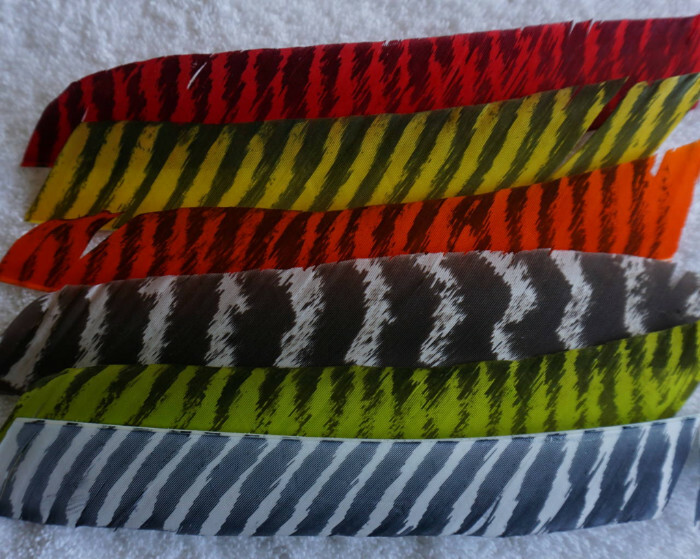 The images below are of our full length feathers. 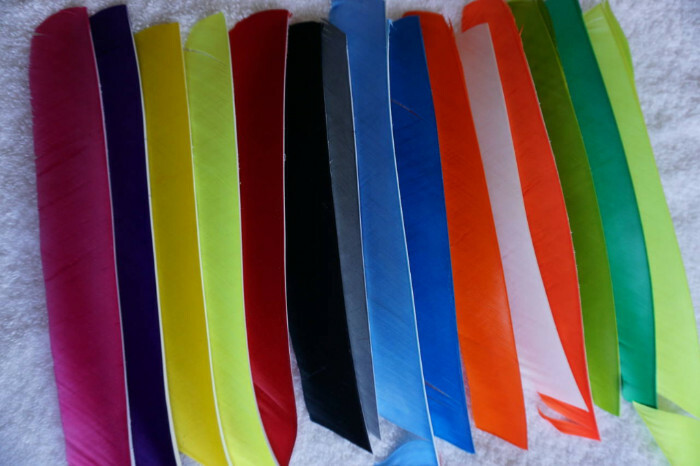 All of the feathers, and resulting fletchings are LEFT WING. The images provide the best possible representation of colour but it is not easy since actual colour, particularly for shades of green and blue and purple are dependant on the light levels and individual opinion. 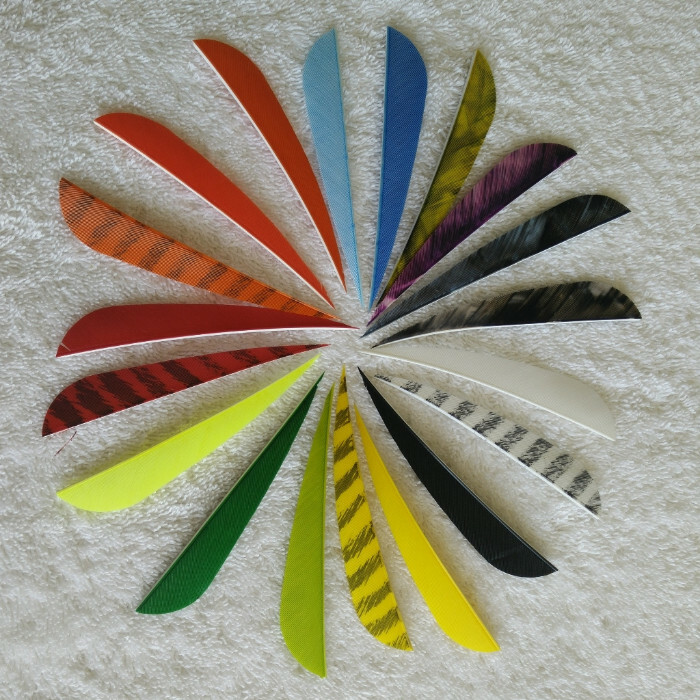 All fletching profiles are available in all the colours, subject to availability of course. White / Charteuse ( Green) / Natural Turkey ( limited quantity ask for quote) / Orange / Yellow / Red. 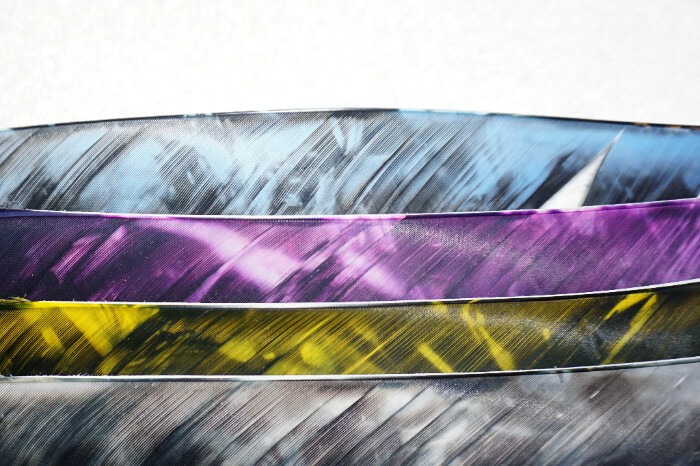 Grey / Yellow / Purple / Blue.